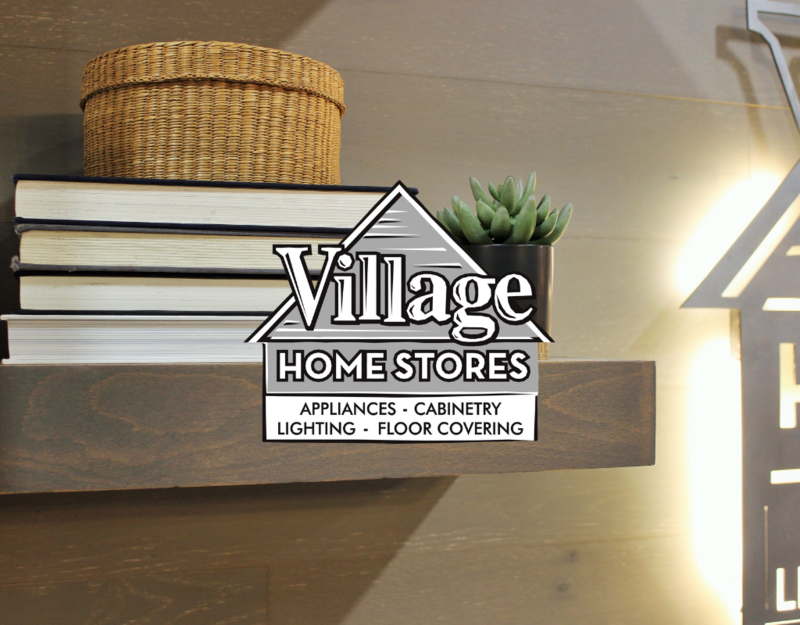 At Village Home Stores we are proud to seek out and offer as many American-made products as possible to our customers. A perk of making this decision comes with the access to visit these brands and see who is behind the name. 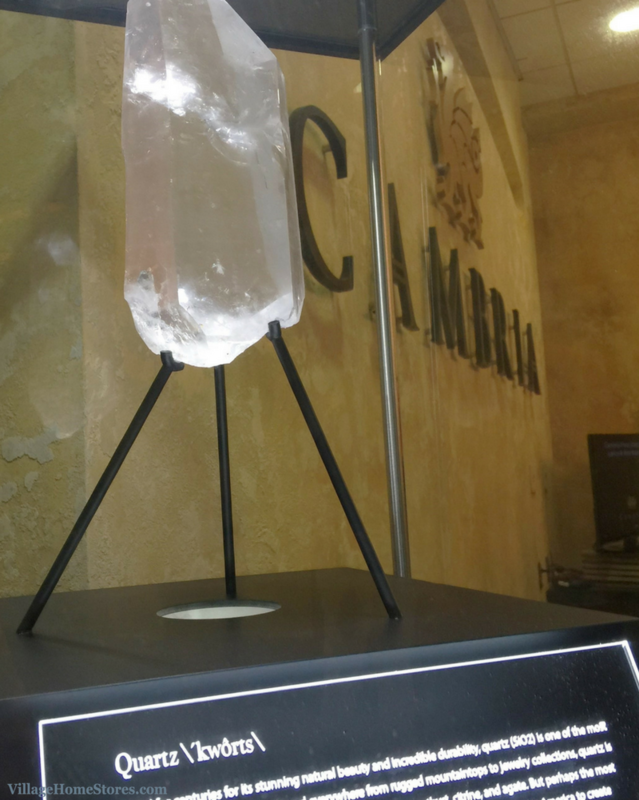 Over the past year, our design staff has been invited a handful of times to visit Cambria® Quartz. 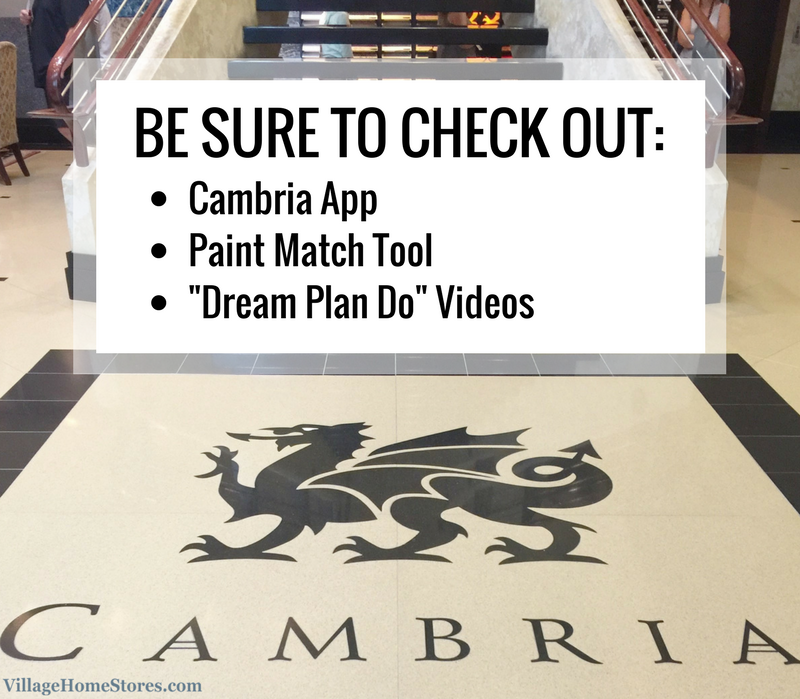 Last week we documented our trip to visit Cambria® so you can see for yourself why we are excited about offering this brand to you. 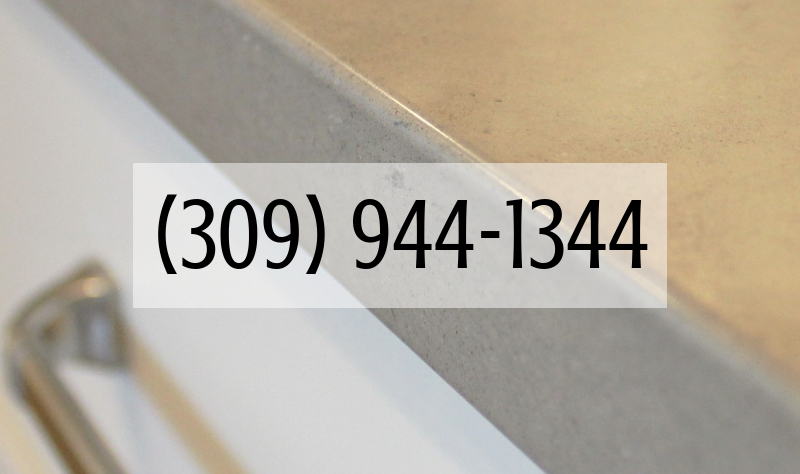 If you have been considering your countertop options you certainly know by now that there are countless brands of quartz options available for your home. 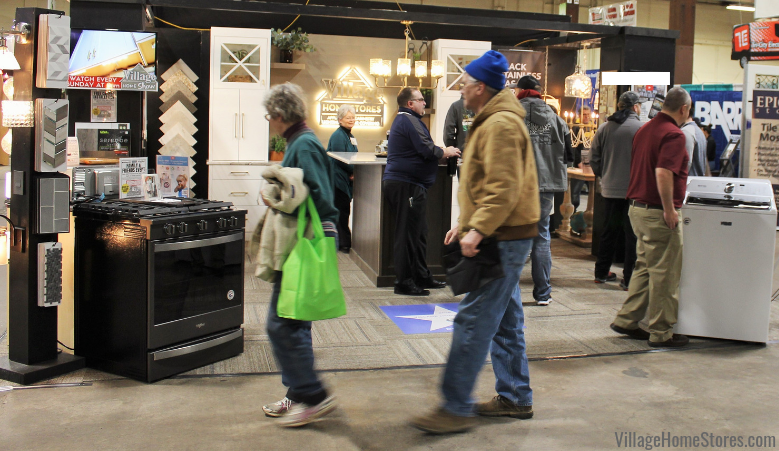 One of the things we have learned in the Kitchen and Bath industry since we opened our doors in 1984 is that people buy from people. Our customers choose us not because of what we carry, but the service they have come to expect from our store. 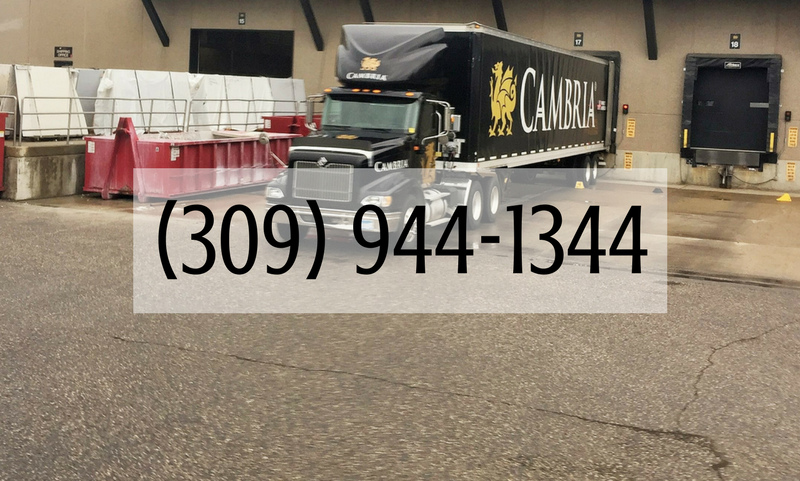 So in that same spirit, allow us to share with you why we are proud to offer Cambria® to our customers. We witnessed this from the gallery to the office and all the way through the fabrication process. Everyone involved in the product truly believes it is the best available. We were allowed to toured the factory and watch the manufacturing of the slabs. Not only were the facilities impeccable clean, the employees were genuinely happy. At one point we were up above the running line and we could look down at the process but also across the room to a training room. Staff (who were not aware we could see them) were engaged in the training, laughing and seemed to be enjoying whatever it was they were learning about. Everyone at work we met greeted us with a smile. A portion of the manufacturing process was not a part of our factory tour. This is completely understandable as Cambria® has always been on the very pulse of what is new and exciting the their industry. From on-trend colors and finishes (yay! matte finish), to pattern applications that could fool even mother nature herself. We always look forward to seeing what new launches they have available once they are ready. Product is tested and inspected the entire process. This begins even when materials arrive. While we walked through one of the labs a delivery truck of quartz had arrived and quartz crystals and dust were being prepared for a rigorous amount of tests. These tests are completed before product was even accepted and the driver could leave. The entire innovative process from the craftsmen and women at Cambria® allows them to proudly offer a Lifetime Limited Warranty to our customers. Touring the manufacturing and fabrication facilities were truly a highlight of our trip. 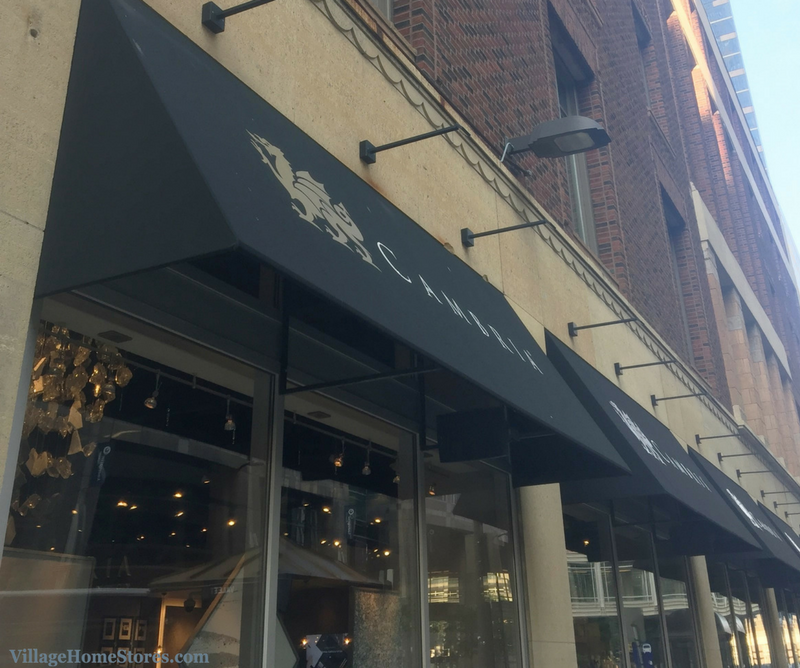 We also visited the Cambria® Gallery on 7th in downtown Minneapolis, MN. 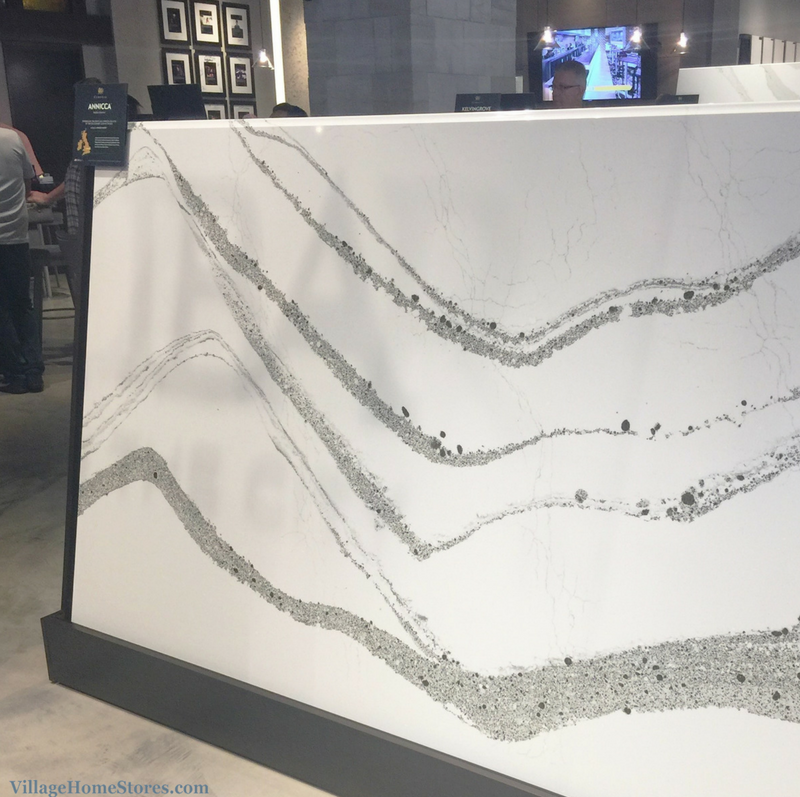 The gallery includes a large showroom space featuring full slabs of the current Cambria® designs as well as installed product displays. 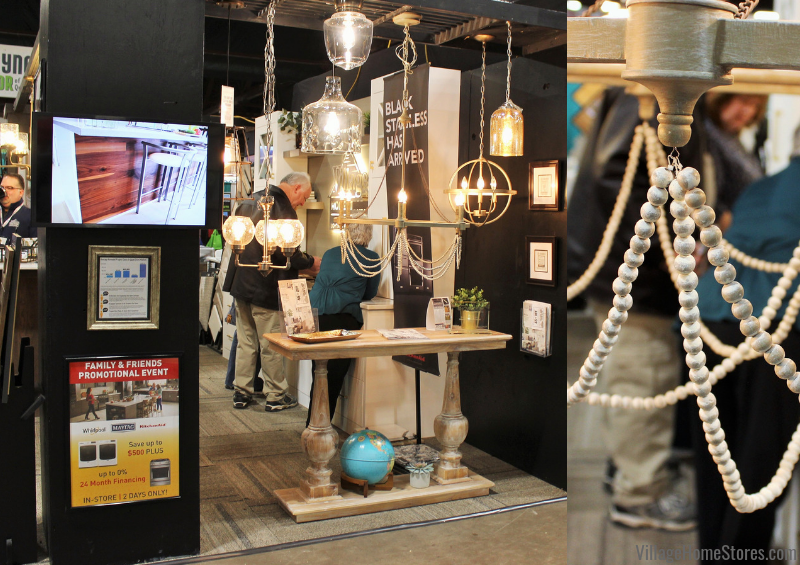 It was a dream to walk the aisles of full-scale designs and see some of the newest options available in person. A stage at the center of the gallery is used for trade events as well as concerts aired locally to the community. 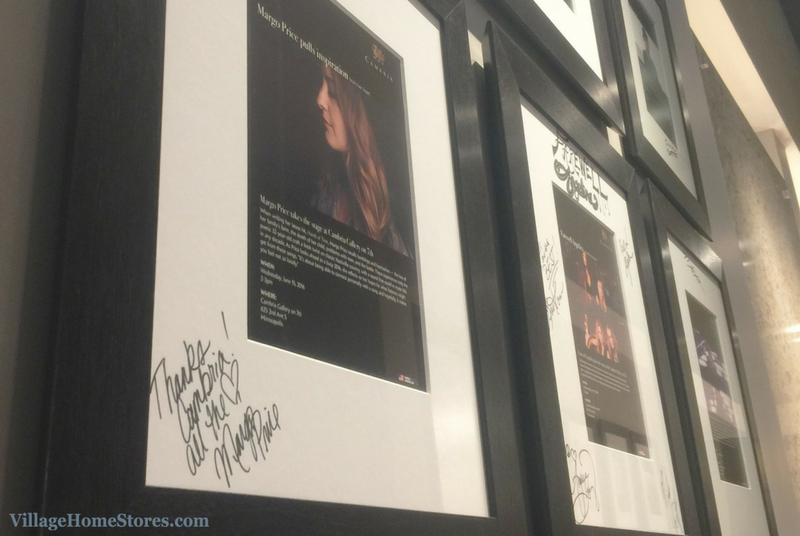 We recognized a lot of names on the walls of musicians who have paid a visit including Aledo-native Margo Price! 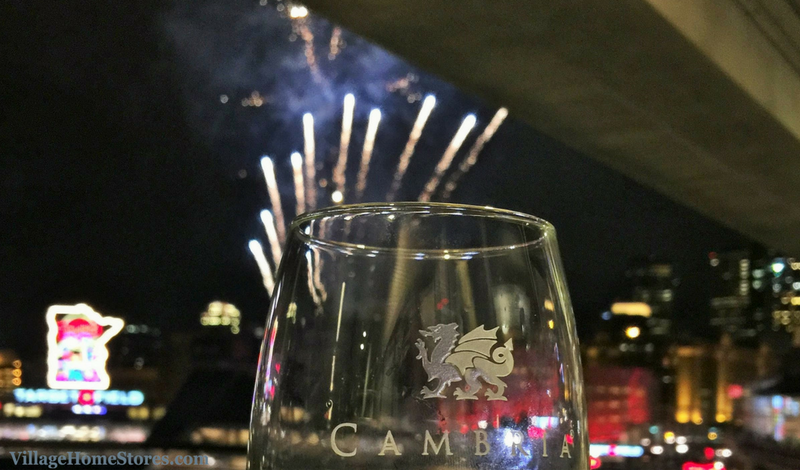 Of course Cambria® was so kind to us throughout our trip showing us the very best Minneapolis has to offer in food and activities. Because…. 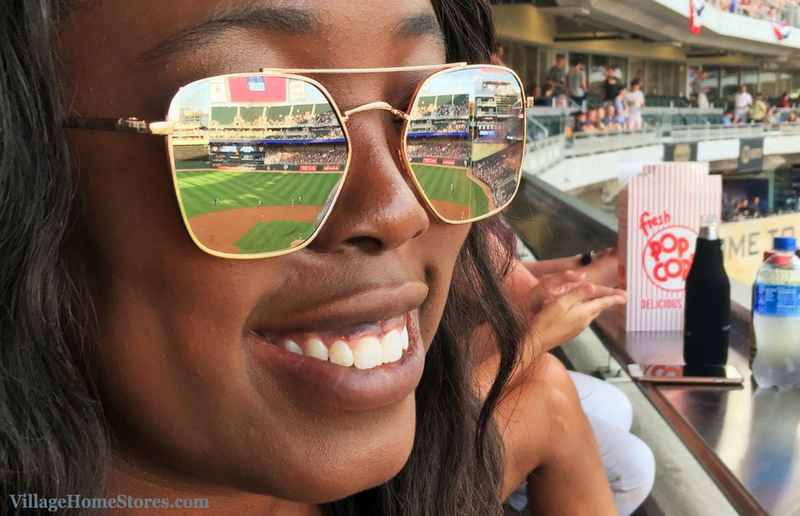 well, SUMMER, we wrapped up our trip with a networking event at a Minnesota Twins game at Target Field. 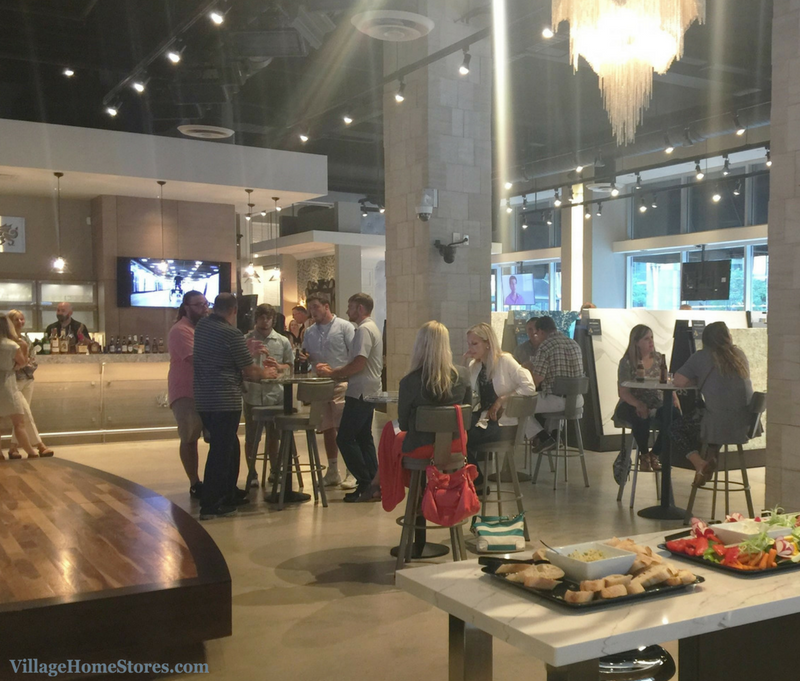 The Cambria® Design Center at Target Field was the perfect setting to chat with all of the other visiting Kitchen and Bath designers, fabricators, and installers also in town to visit with us. Did you just have had an “a-ha moment” when we mentioned baseball and Cambria® together? 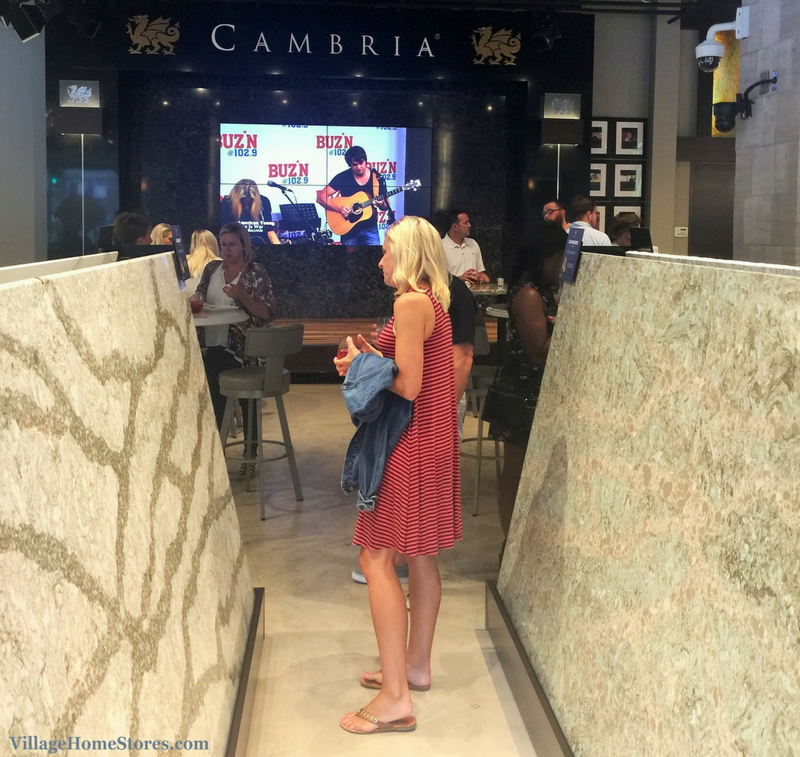 You may have noticed over the past few years ads for Cambria® Quartz behind home plate during many MLB games. 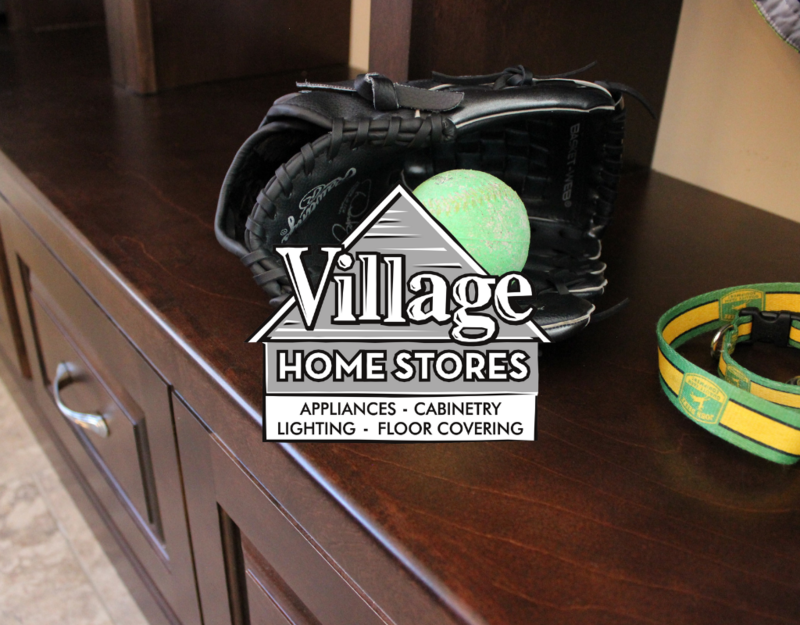 An American-made product + the “great American pastime” = a home run indeed! 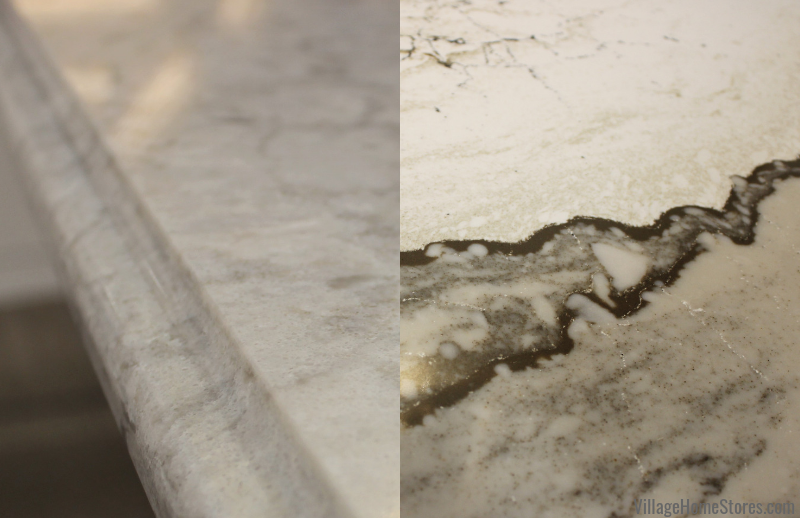 Of course because Cambria® is durable, maintenance free, and 100% nonporous it has many commercial applications as well. 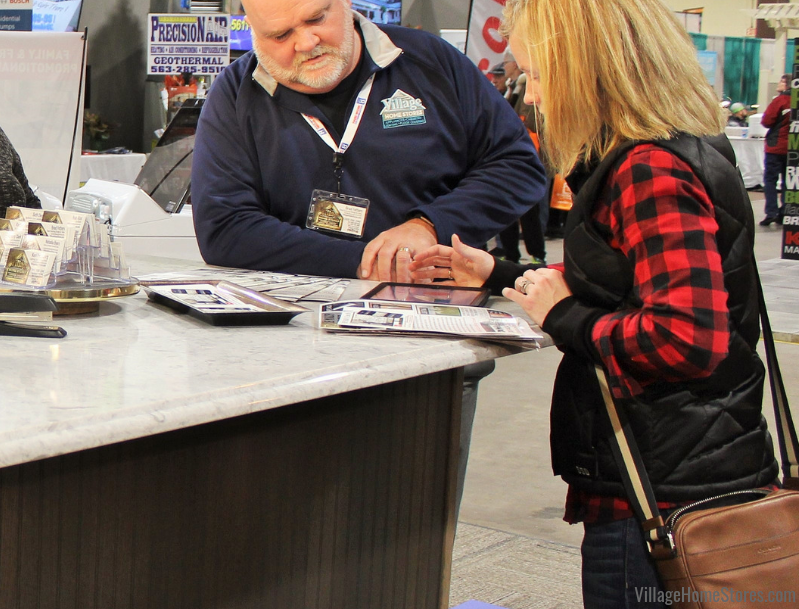 The same color quartz you may select for your bathroom vanity may be installed in a Harley showroom, a dental office, or perhaps the clubhouse of a sporting team facility. 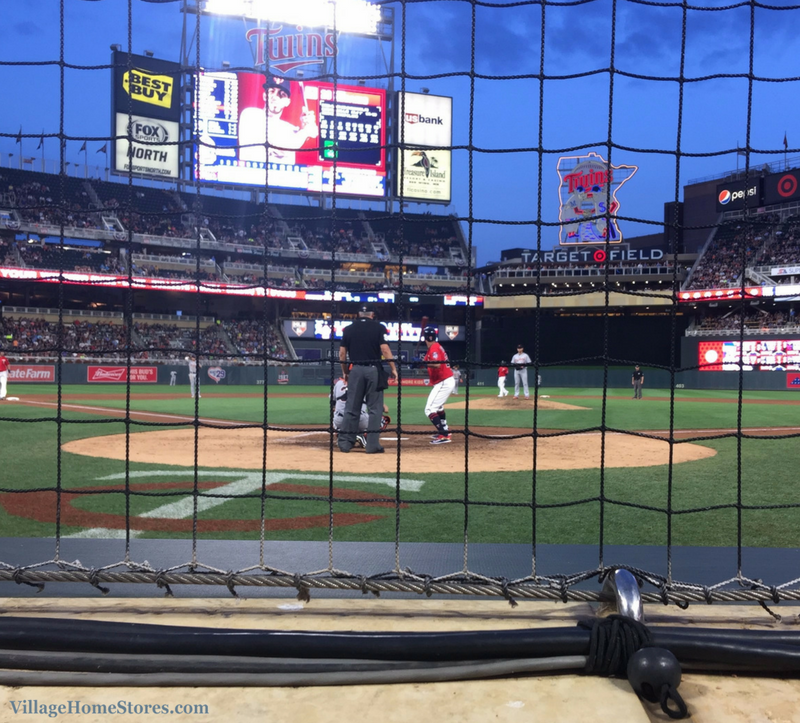 Unfortunately the Twins lost to the Tigers 3 – 6 but we still had such a great time. On a positive note, we were able to stay after the game and watch fireworks! A pretty fantastic Friday evening if you ask us! 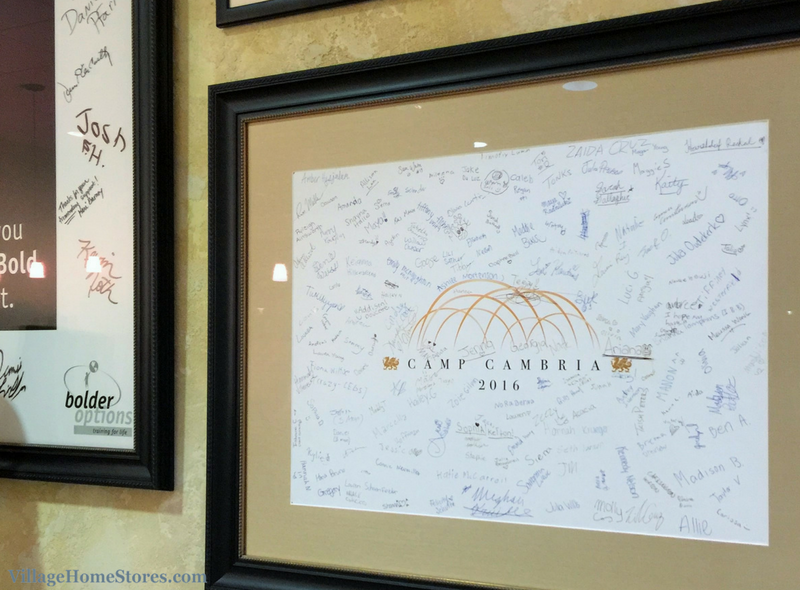 Cambria® is everywhere. Of course the Design Center at Target Field was no exception. 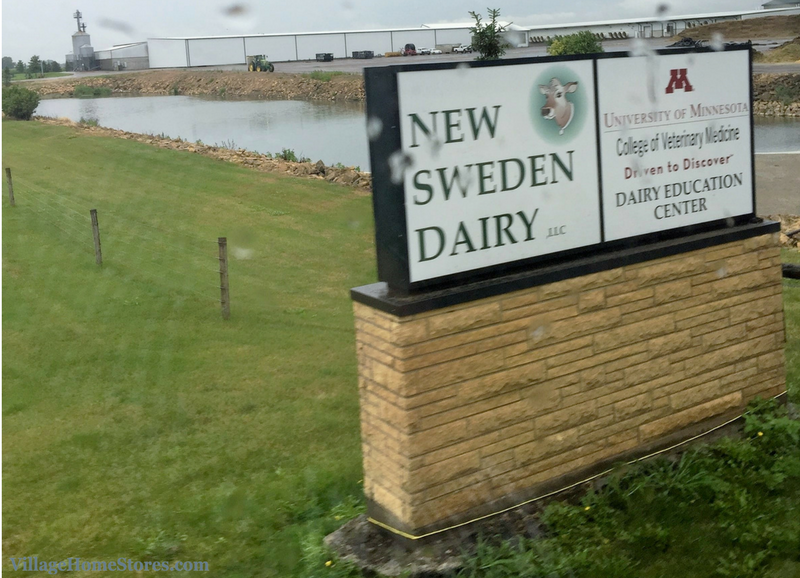 So why in the world did we also tour a dairy farm?! Believe it or not, Cambria® began there! In 1936 Stan Davis began an apprenticeship at a butter creamery. By 1943 Stan purchased a creamery and until the year 2000 the Davis family was focused solely on the Dairy business. In 2000 family entered the quartz business after being presented with the opportunity to buy quartz processing equipment. 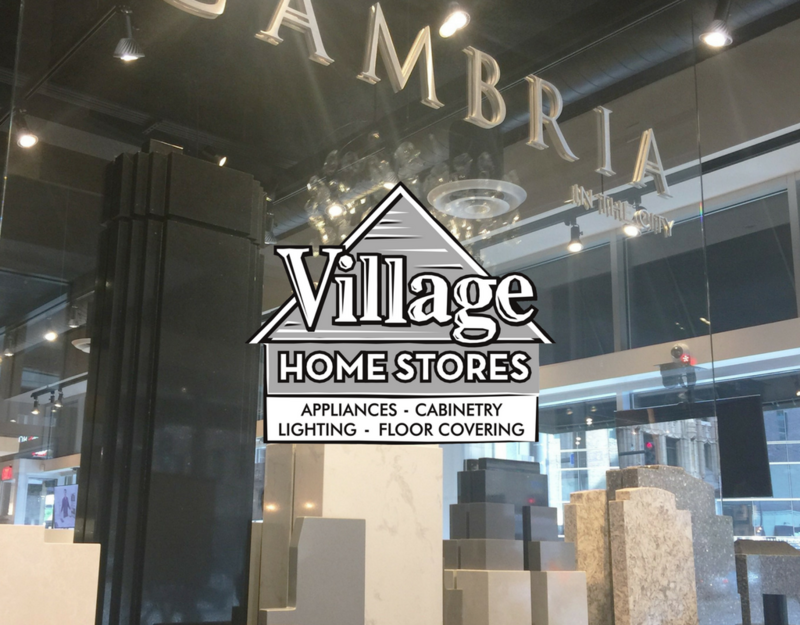 With the success an innovation they put into their dairies, Cambria® Quartz has now evolved into becoming the brand we know and love today. Touring the Dairy farm and seeing the entire cycle of the process really reflected some of the parts we saw when touring the quartz facilities. Happy and enthusiastic employees and an innovative process. Read more about this journey from this dairy farm to where Cambria® is now here on their website. Cambria® is passionate about getting involved in the community and in addition to their own Camp Cambria program and Team Cambria youth sports teams, they are also involved in the Veterans Fund and Big Brothers Big Sisters to name a few others. 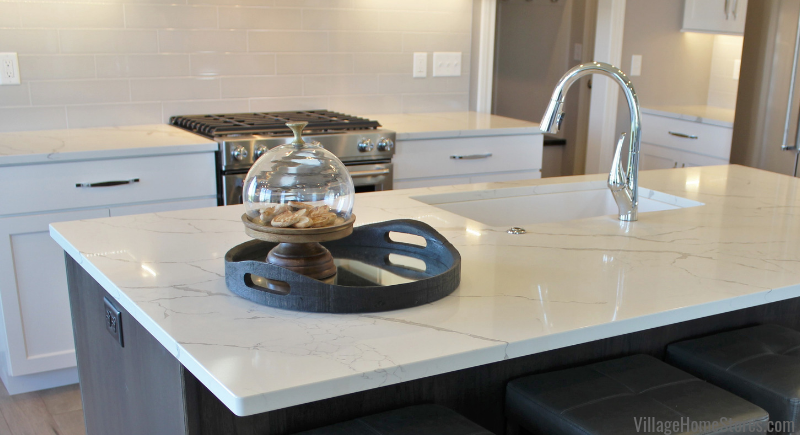 If you are ready to start the conversation about Cambria® Quartz for your project we are too! 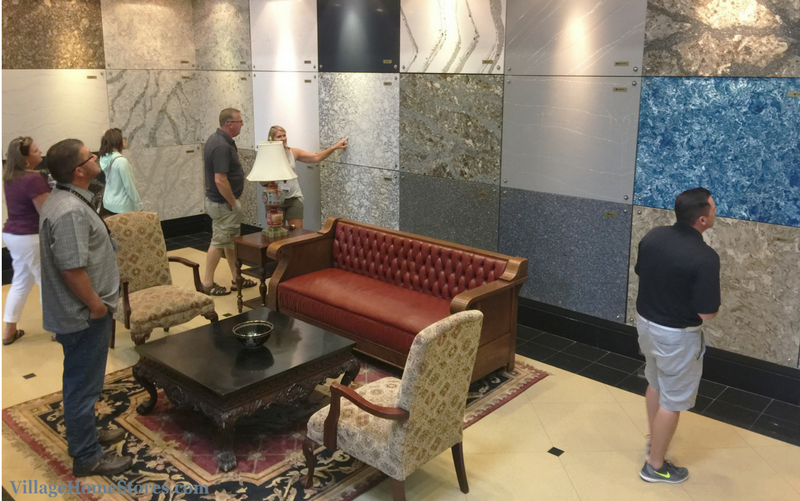 Our award-winning showroom includes lots of installed product as well as all up to date samples of designs to select from. 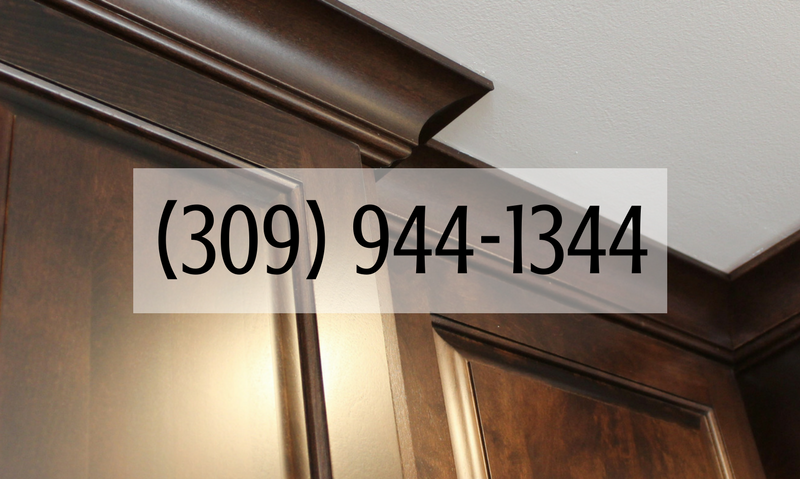 Contact our team today by completing this contact form online or calling (309) 944-1344. It is no news that we believe the kitchen is the “hub” of the home. 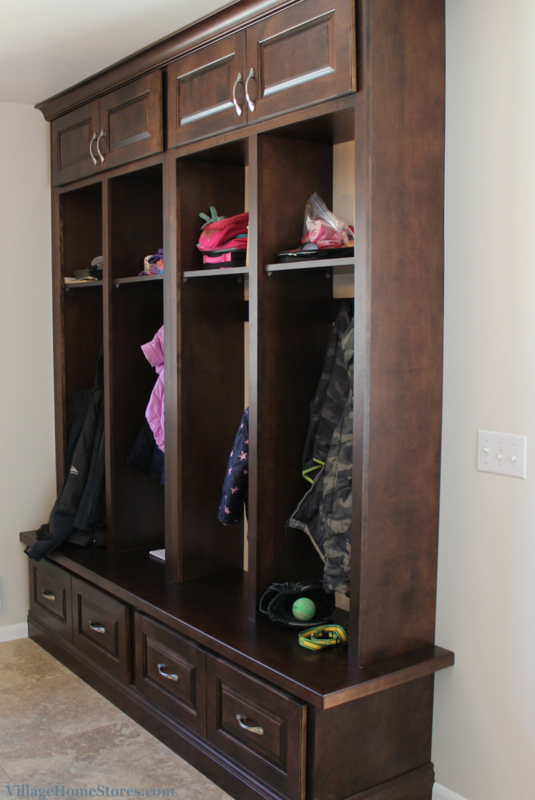 For many busy families that translates to the “hub” of all clutter! Bookbags, luchboxes, mail, schoolwork, the dog leash, the sports equipment… you see where we are headed with this. This Moline family of 5 (plus pets) was ready for a kitchen remodel. When their designer asked what they really wanted to see with a new layout, their response was this: some way to keep the kitchen table clear. 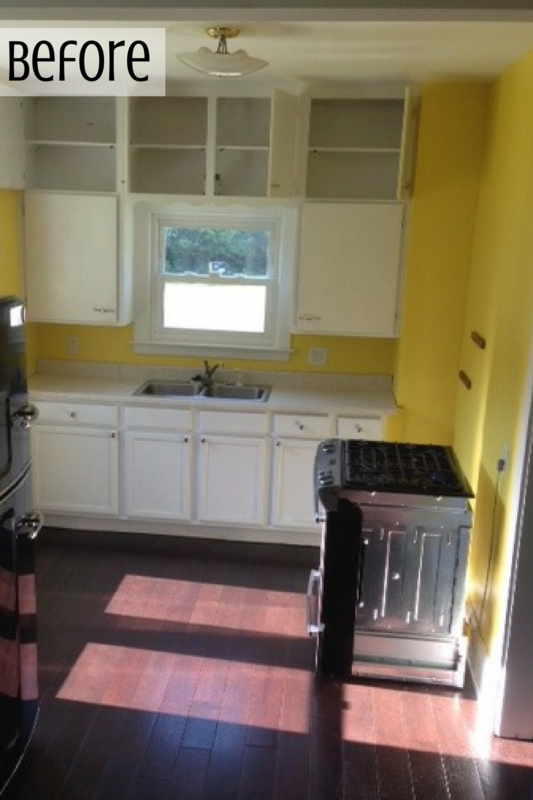 Before we share that solution, let’s start the tour with the familiar kitchen areas. This L-shape sink section includes a very common and functional layout. A range and microwave hood on one end, turn the corner with a base lazy susan cabinet to a sink beneath a window and dishwasher beside it. The original kitchen layout included a peninsula on this wall extending into the kitchen. The new layout opens up the space by eliminating that peninsula and making room for a large kitchen table. 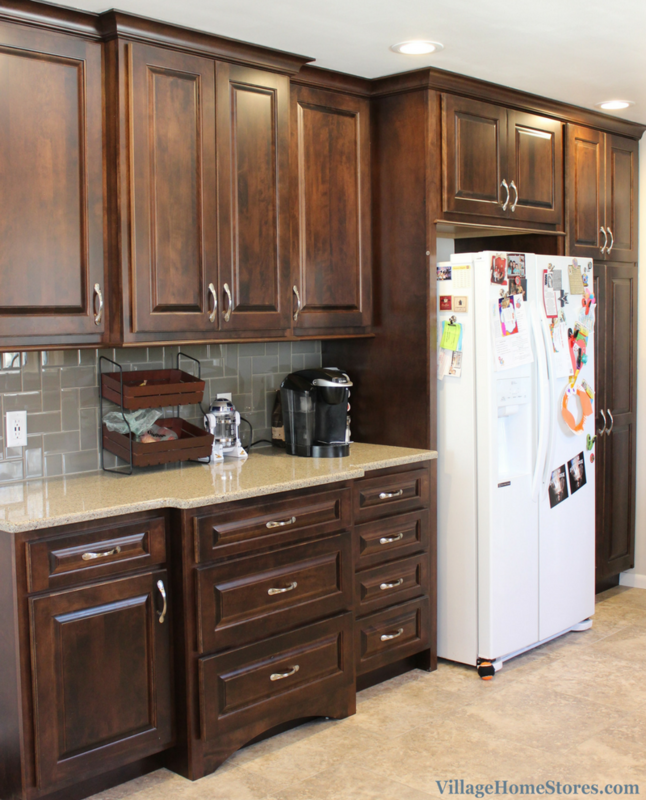 Koch cabinetry in the Seneca doorstyle is installed in a Birch wood and “Mocha” stain. 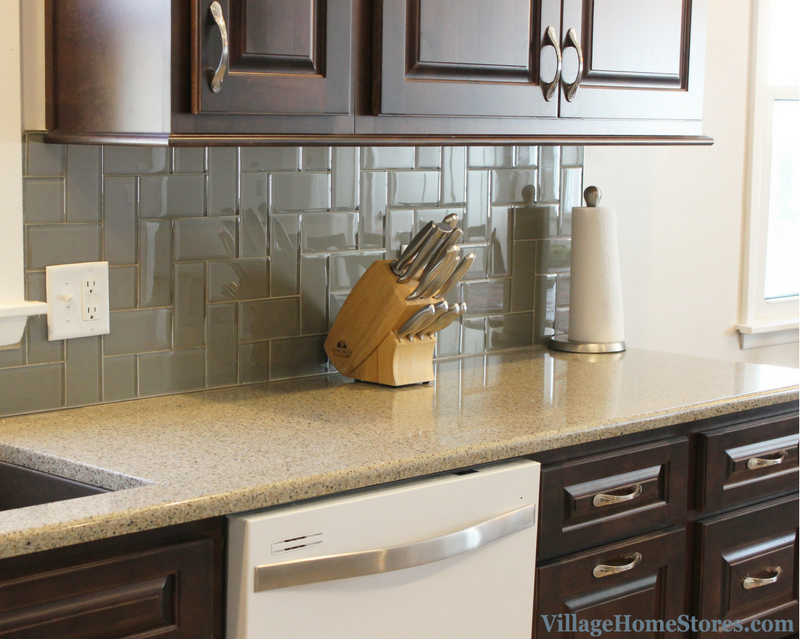 Glass 3″ x 6″ subway-style tiles have been installed in a herringbone design for the kitchen backsplash. The tile is from our American Olean line in the Color Appeal series and “Plaza Taupe” color. 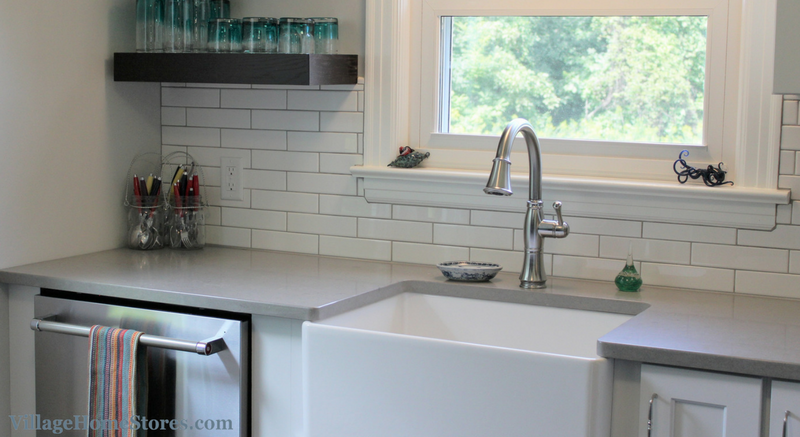 No backsplash was installed with these tops so the glass tile backsplash had more room for a statement with the pattern.The refrigerator wall now includes so much amazing storage! A tall pantry cabinet fit with sliding shelves and a refrigerator end panel surround the refrigerator for a great look. 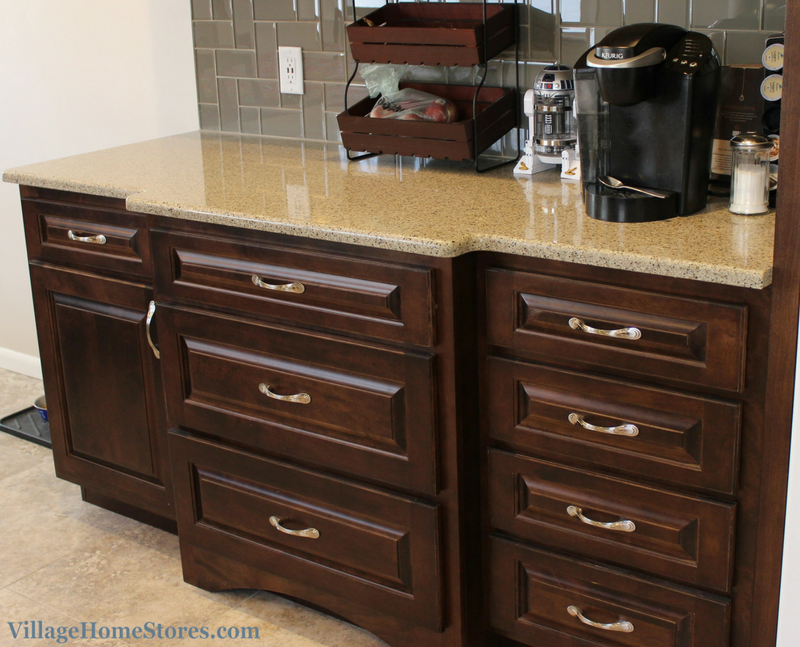 The section of cabinetry on this same wall creates a great work surface that also serves as a coffee station. The wall cabinetry above is staggered in height and depth to add interest to this wall. Soffits have been removed from this kitchen so that the new cabinetry can reach to the ceiling. To compliment the deeper center cabinet above, the large stack of drawers in the base cabinetry is pulled forward. 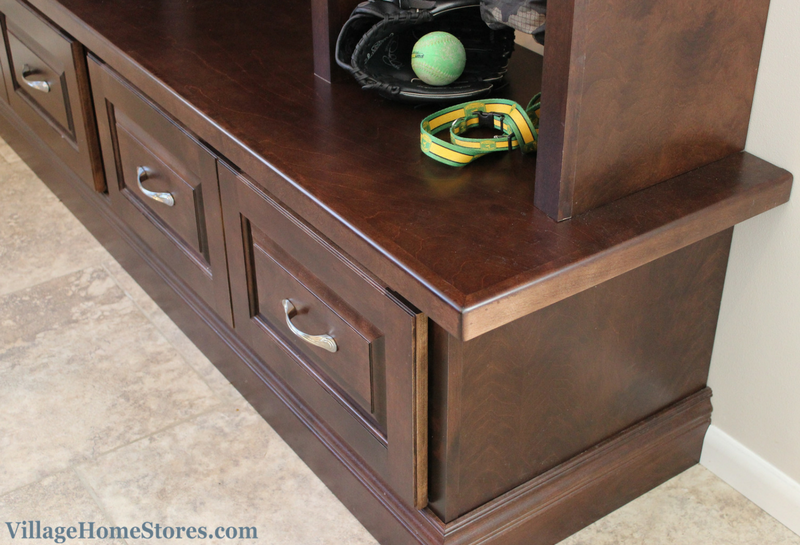 This gives the opportunity to add interest and a furniture-style look with an arched toespace on the drawer cabinet. The Quartz kitchen counters mimic the creative shape of these cabinets and follow the in-out-in detail with soft radius corners on this bump-out area. 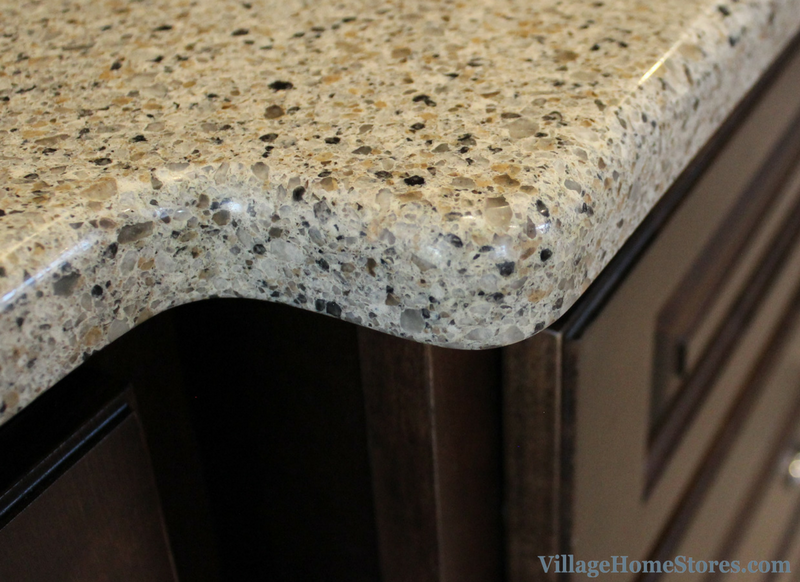 Hanstone Quartz countertops in the Victorian Sands color are a stunning choice for this Moline, IL home. Victorian Sands is a wonderful blend of neutral colors. It is one of those successful colors over the years in that it works with so many wood tones and pairs with just about any tile or paint selections. A standard “Eased” edge profile is a classic choice. But what about that whole new area designed to somehow solve the clutter table issue? 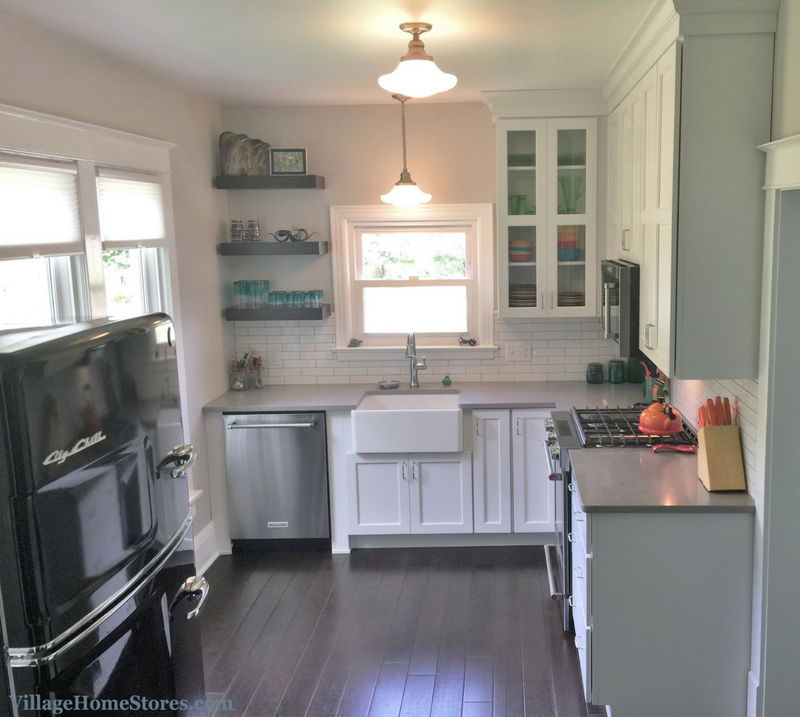 With the mission to control family clutter in mind, our designer went to work to create a new kitchen layout including a whole new third section of cabinetry across from the original kitchen. What an amazing brand new custom drop-zone area fit with a bench seat and coathooks! A place for everything and everything in its place…and guess what?! The kitchen table (and even the kitchen countertops) are now all clear! By creating this designated “drop zone” area on the back wall of the kitchen, there is no excuse for anything to end up on the table at all. A bench seat built from functioning drawers is capped with a matching wood top. This offers a stylish surface for seating. Designing the drop zone into 4 sections helps to contain the clutter to each child’s area. Drop zones like this work best when located near the main entrance home for the users (i.e. back garage door entry). This busy family is so happy with their new kitchen. We love any opportunity we can get to help improve any living space to become more function and beautiful! To see the full album of photos from this kitchen visit our award-winning Houzz page here. 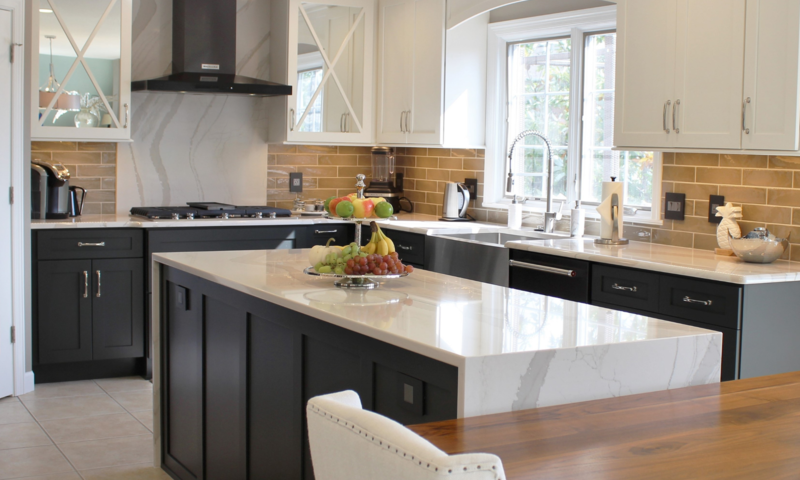 Are you curious what an expert kitchen designer might have to suggest for your own busy home? We are ready to hear about your space! Contact our store to start the conversation about working with our store. You can reach us at (309) 944-1344 or by completing this online form. 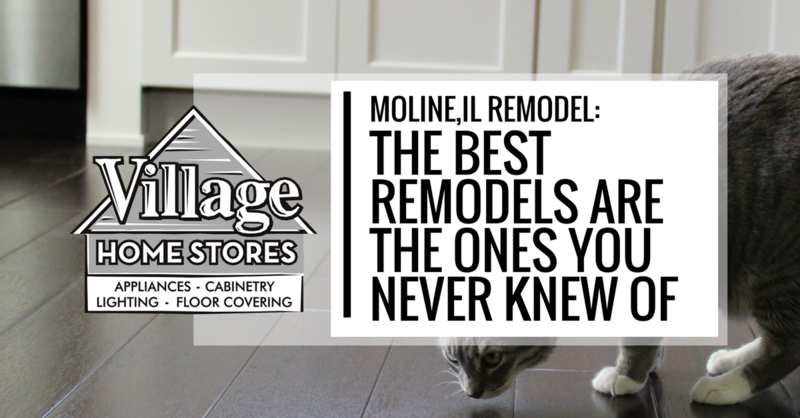 The best remodels are the ones you never knew happened? What on Earth do we mean by this?!? Simply that a kitchen (or any well-designed space) should look naturally “at home” in your home. The fact that it has been remodeled recently shouldn’t necessarily be a dead giveaway. If that is apparent, you run the risk of it looking “dated” within 5 years or so. This is especially true for historic homes. Making classic choices in materials and application that enhance and compliment your home are always the right choices. A great example of this is a kitchen remodel we recently completed in Moline, IL. 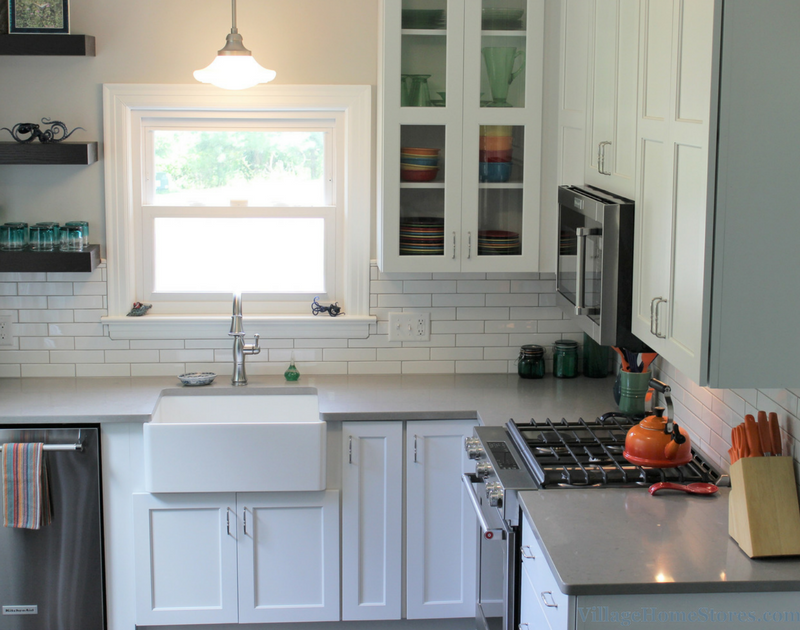 This new kitchen looks perfectly at home in the space yet updated with modern touches at the same time. We will confidently be able to say the same thing years down the road. 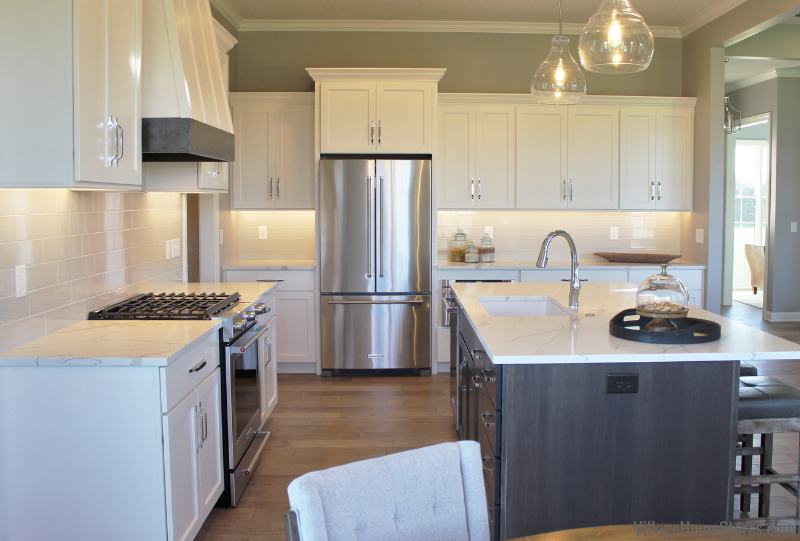 A cabinet design using our Koch Classic line is installed in the “Prairie” doorstyle in a painted “White” finish. A single slab-style drawer front has been selected for the drawers. Floating shelves in an Oak wood stained in a “Mocha” finish accent the sink wall. Neutral gray tone-on tone Engineered Quartz counters break up the space and a dark hardwood floor adds drama to the completed look. The original kitchen was in this same area of the back of the home. 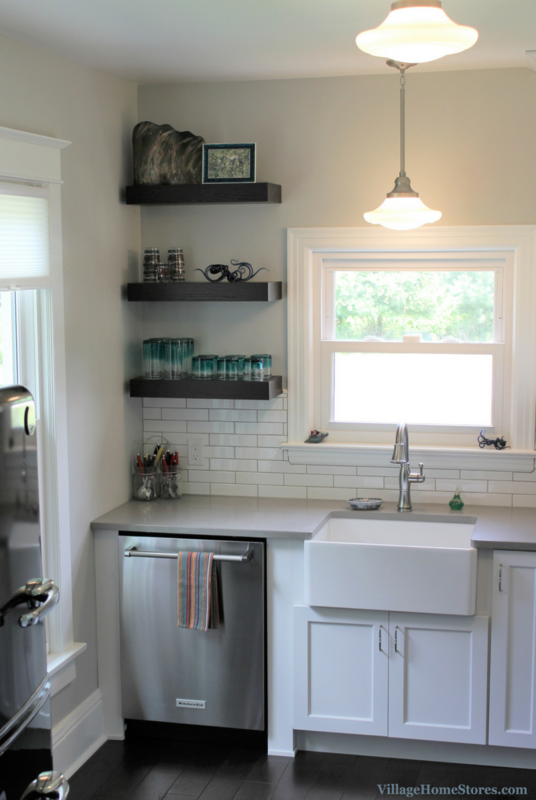 For storage however, only a single wall of cabinetry surrounding the sink was installed. This left an empty wall for the range to rest on and a refrigerator to float on another. Not ideal for a busy family. Also take into consideration ther is no dishwasher in the original layout. put a drying rack on that countertop and now there is even less space available. The new layout converts this single-wall design into an L-shape and adds storage in every inch possible. Added storage and plenty of added counter space that is so important surrounding the cooking center of the new kitchen. 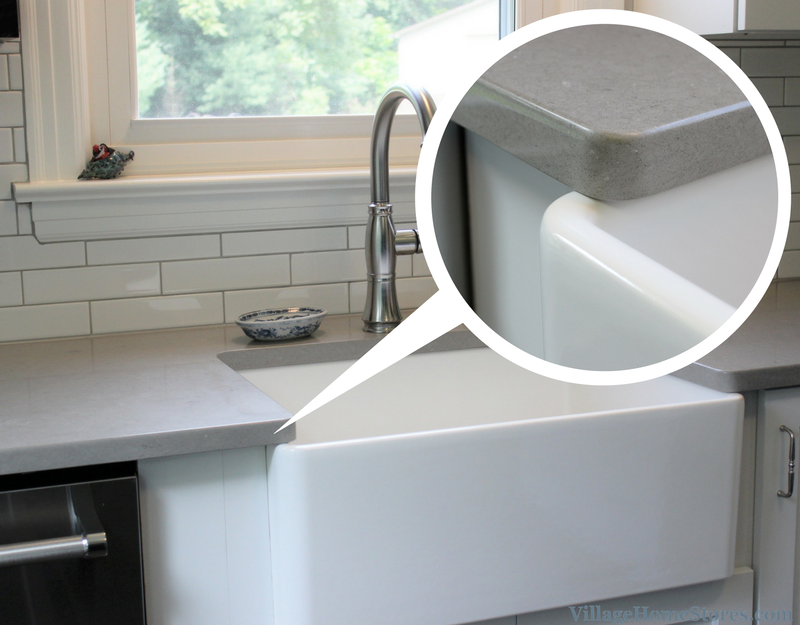 With the range wall now included in the cabinetry layout, the sink wall can have a more open look. 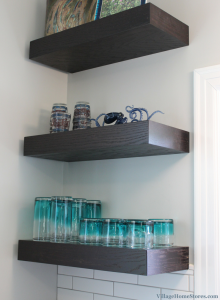 Instead of a solid block of built-in cabinetry, there are glass-front cabinets and contrasting floating shelves. The same dark wood finish from the floors is repeated in the oak floating shelves installed to the left of the sink. 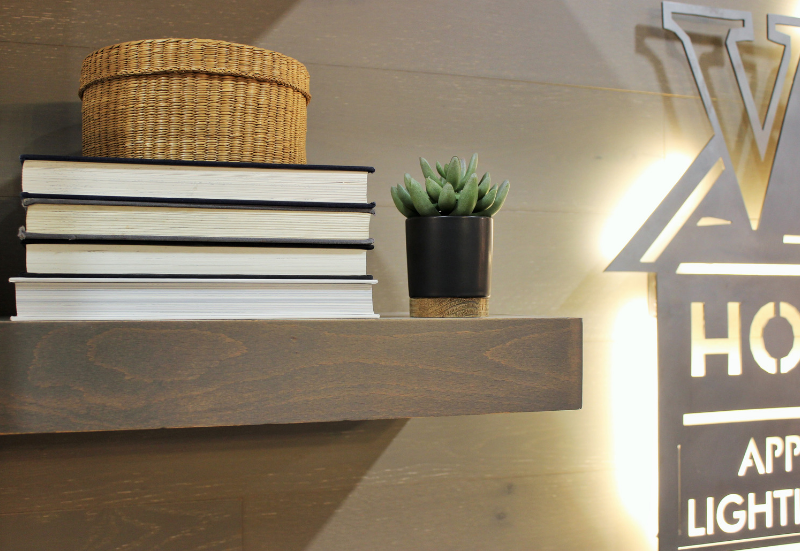 These floating shelves add a modern detail to the New-Traditional styled space. 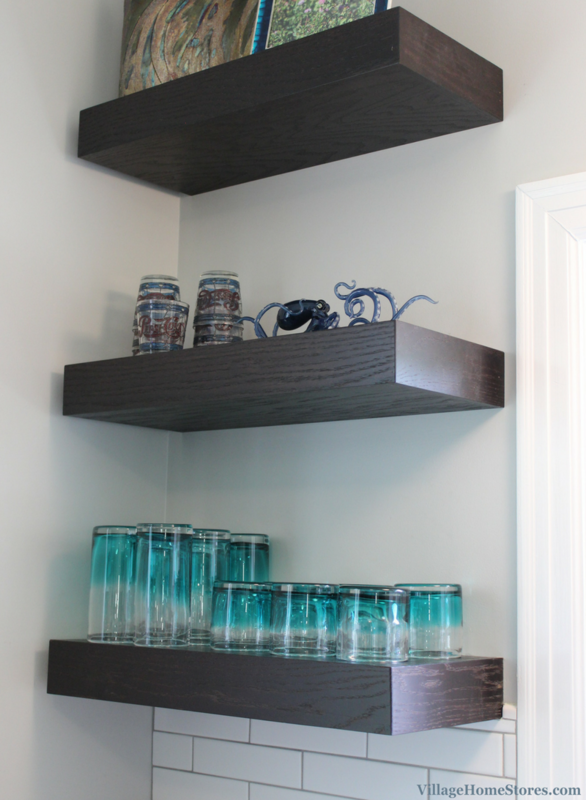 These floating shelves are balanced by the classic glass-front cabinet doors on the opposite side of the sink. The best result from this new cabinet design on the sink wall is how open and uncrowded the user at the sink now feels. Natural light pours in from the window above the sink as well as the others on the back wall of the home. An always classic choice in a kitchen design like this is the use of an apron-front or “farmhouse” sink. This single decision can make such a huge impact of the finished look of the kitchen. 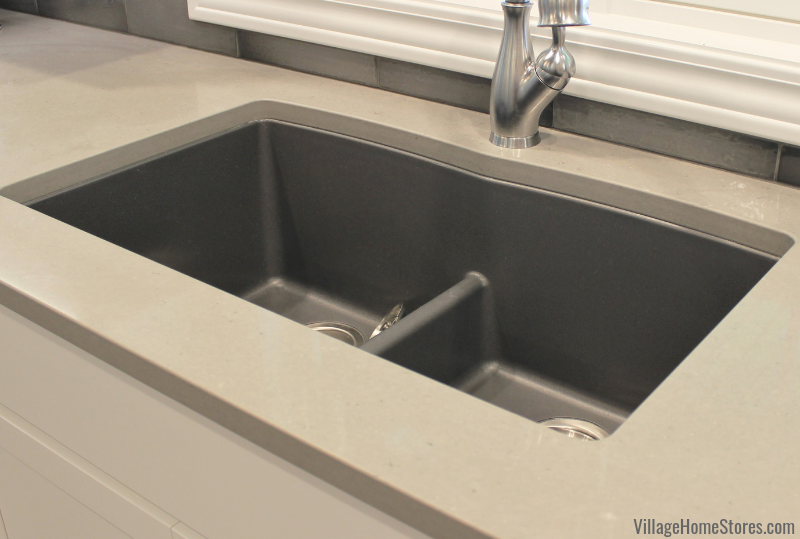 This 26″ wide single-well apron sink has been under-mounted to Engineered Quartz counters in the “Fossil Gray” color. A standard “Eased” edge is another classic choice for the project. A heavy and ornate “Ogee” edge would seem out of place here. Another classic choice is the application of an apron sink. It is almost impossible to imagine this kitchen without an apron-front sink. 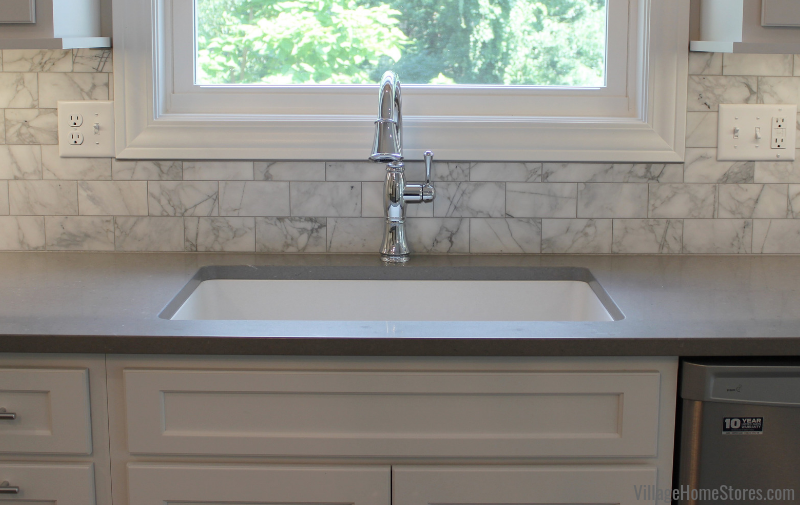 Of course the most effortlessly classic pairing with an apron-front sink is subway tile. This kitchen takes that concept and steps it up a bit with an incredible material detail: an elongated size. While a classic subway tile may measure 3″ x 6″, these elongated tiles from our American Olean line are 2″ x 8″. The series is named “Urban Canvas” and the color is “Ice White”. 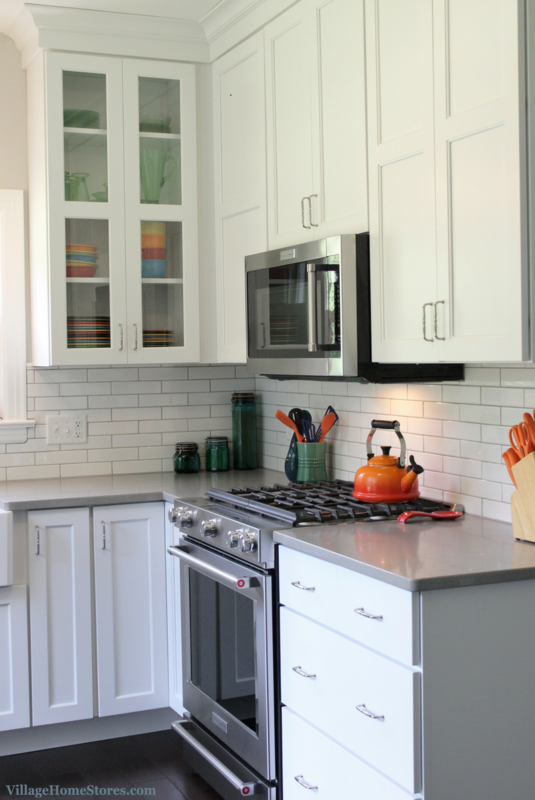 This exaggerates the classic look of subway tile and makes a huge impact with the detail. The use of simple and clean lines in the details of your overall design can help spotlight other key areas. A subtle gray quartz top doesn’t distract from the overall look. 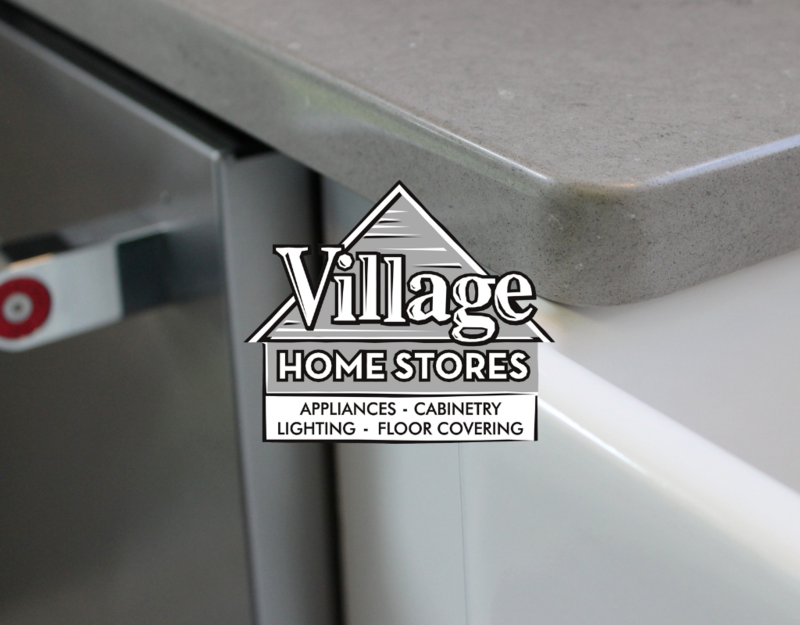 By selecting a complimenting gray grout to the quartz counters it helps to showcases the tile shape. The kitchen appliances selected for this Moline home bring modern conveniences and a high-end look to the space. KitchenAid’s new look gets you professional-level results and appearance. The new kitchen layout now includes a space for this Stainless Steel dishwasher. 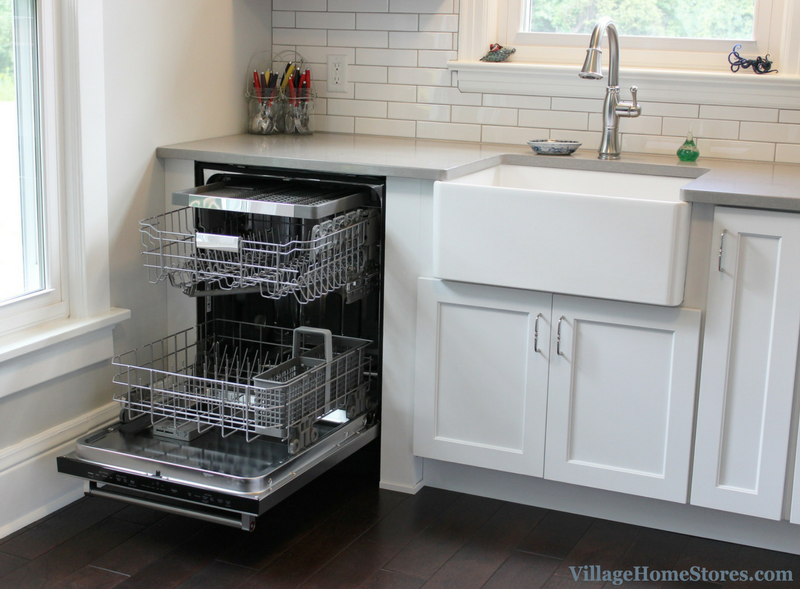 A third rack on the interior of this dishwasher makes it easy to clean hard-to-place items such as spatulas, serving utensils and measuring cups, freeing up space in the lower two racks. Speaking of space, the range in this kitchen has a lot of it and it is just a 30″ range! This 30″ Gas convection Slide-In Range has a great look and a lot of fantastic features including a baking drawer. Yes you read that correctly. This isn’t just a warming drawer, it is a baking drawer! This range comes armed with the easy to use drawer that allows you to keep warm, slow cook or bake at a different temperature from the oven plus the ability to keep dishes warm. The ability to bake at two temperatures and a total oven capacity of 6.5 cu. ft. This range is ready for your largest of dinner parties. 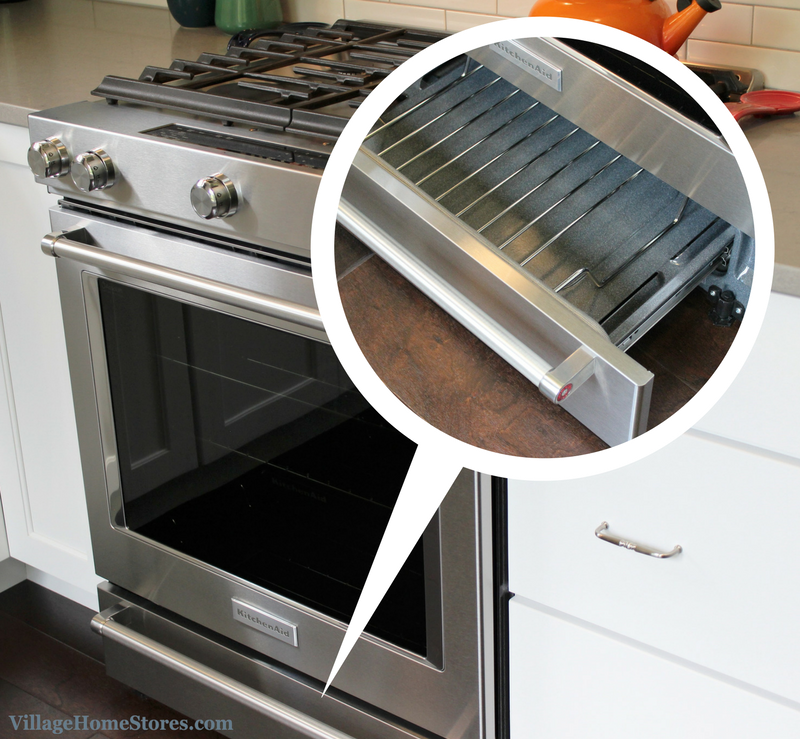 This gas unit from KitchenAid measures 30″ in width and fits any current opening that a freestanding range may leave. 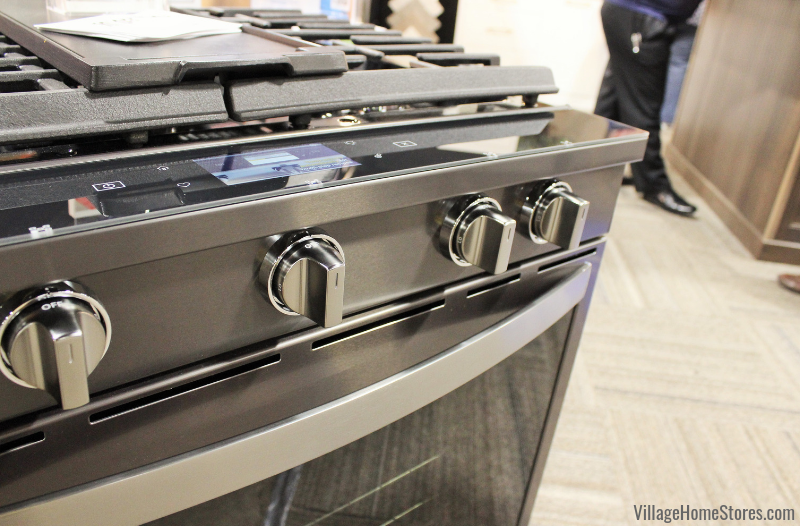 The cooktop on the unit boasts a 5-burner layout. 5 burners with a wide range of cooking power from 5,000 to 19,000 BTU’s. Everything from a rolling boil to a delicate simmer is covered. 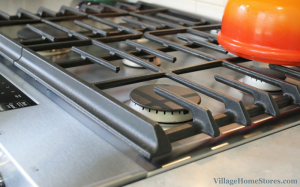 The continuous grates make it easy to slide from burner to burner if needed. Layout changes and modern upgrades with a nod to the historic roots of this farmhouse, what a beautiful new space! See the entire gallery of images from this remodel story over here on our houzz.com portfolio. 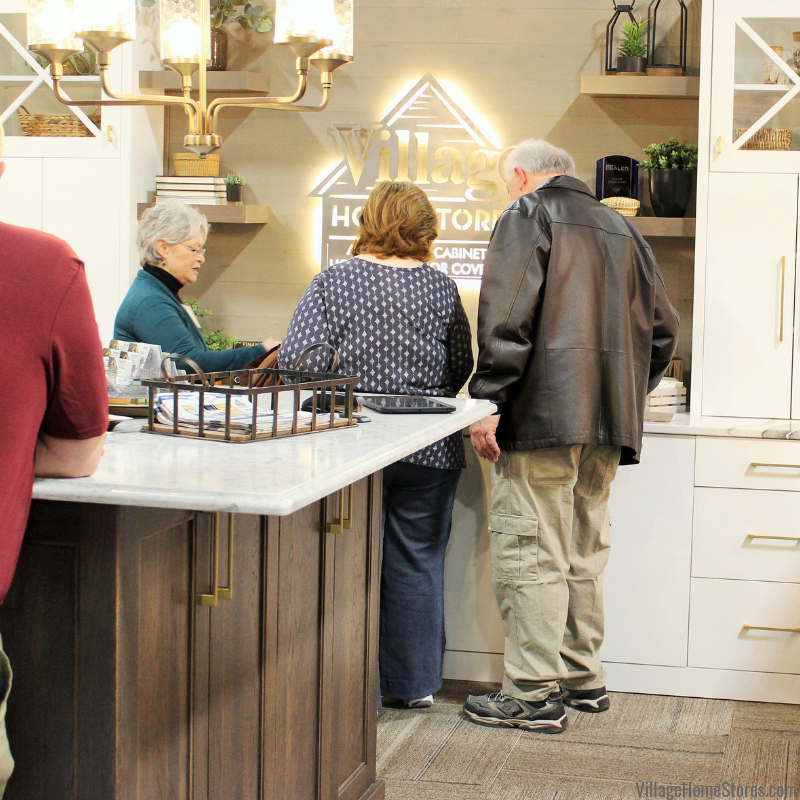 Find product details and begin organizing and collaborating with Village Home Stores for your own kitchen with the ideas from this and other projects we have completed. If you are interested in beginning the remodel process with us, take the first step. 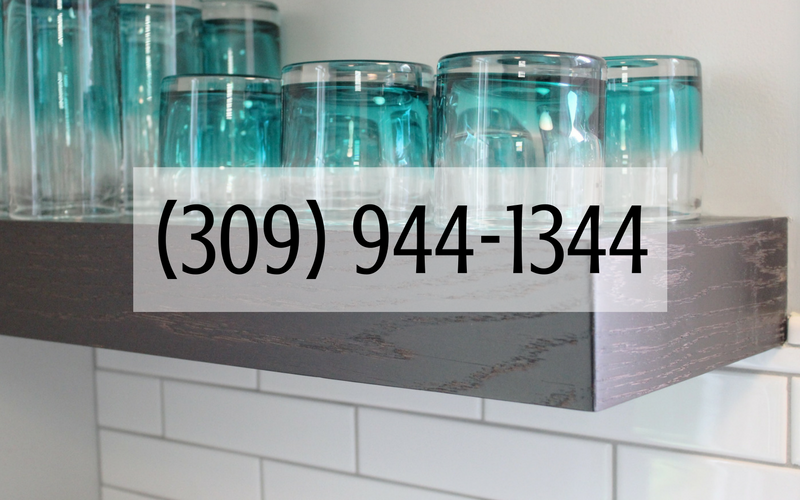 Reach out for an appointment to discuss what your dream kitchen can look like. 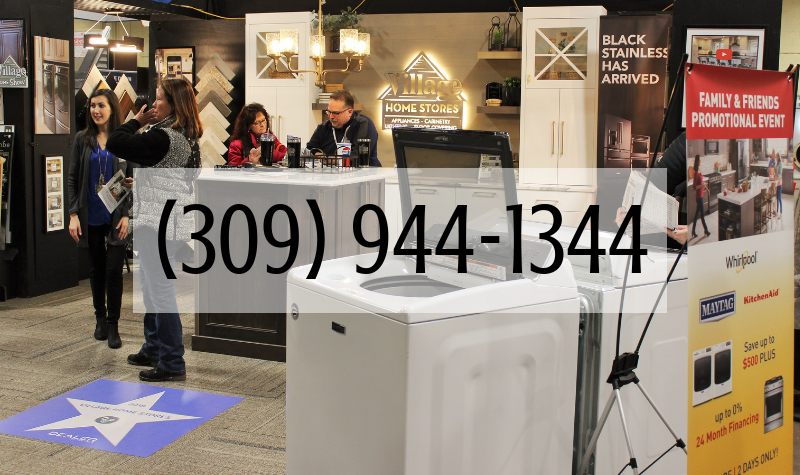 You can reach us by phone at (309) 944-1344 or contact us here on our website by filling out this short form. We know there are so many beautiful properties in the Quad Cities Region that deserve the perfect remodel project that respects the style of the home while still reflecting your own personal style. 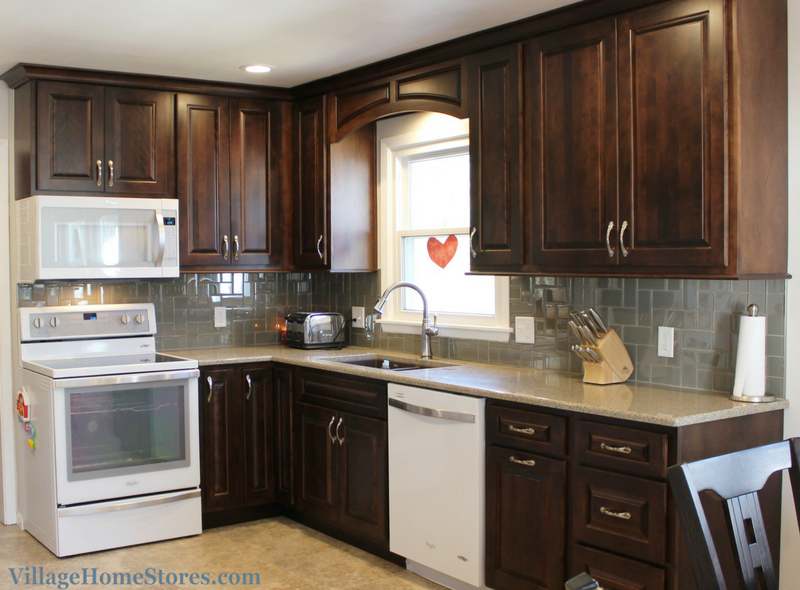 This Moline, IL kitchen turned out so wonderful! Thank you so much to these amazing customers for their business and for letting us show you around.